The Jungfernsprung is located in a stunning valley near the village of Heiligenblut in the Hohe Tauern National Park in Austria. 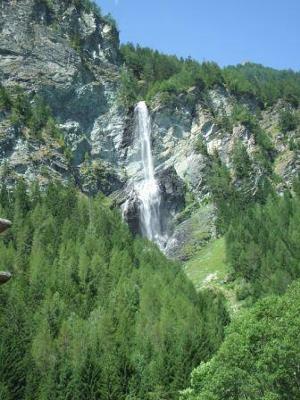 The fall drops 130m and can be easily viewed from the road. There is a trail through the forest to the base. The falls name comes from a local legend which tells of a virgin being chased by the devil. In her desperation to escape she leapt from the cliff and was caught by an angel that delivered her safely to the valley floor. The waterfall is said to have appeared to mark the spot of the divine intervention.